We all love to start our day with a steaming, aromatic cup of Joe, right? And every dedicated home barista has his or her preferred method of brewing. You may favor the traditional French press, the more modern Aeropress method. Perhaps you’ve bought an all bells and whistles espresso machine. Heck, you might even be an expert in the art of siphon coffee making or an aficionado of the pour over method. And those of you who need a quick brew without hassle might even resort to an automatic coffee making machine. Well, nobody’s perfect. Okay, we realize that instant coffee is never going to match the flavor or taste you’ll get with any other form of brew. 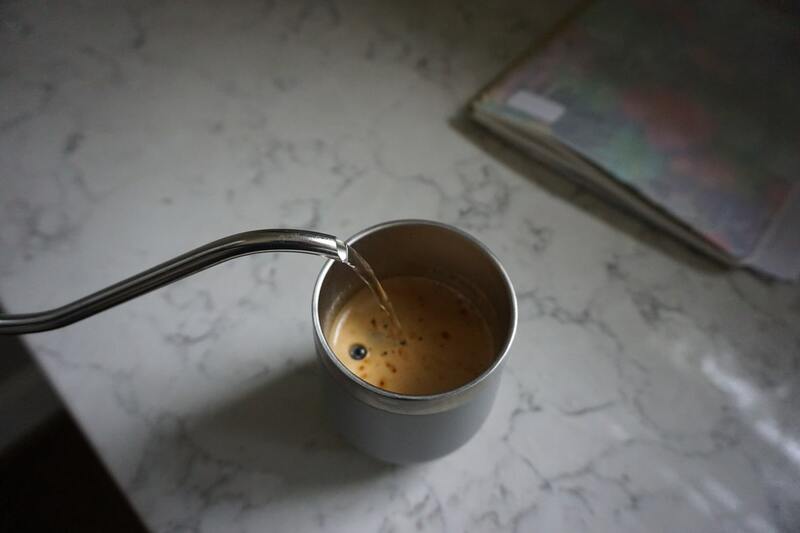 Instant coffee, like anything that’s been reconstituted, won’t offer you the subtlety of taste or intensity of bouquet that a well-brewed Moka pot beverage or percolated Java can. And this is doubly true if you don’t pick the right brand. However, here at Roasty, we aren’t coffee snobs, and there’s no discrimination here. So, we’ve reviewed what’s on offer in the instant coffee marketplace, steering clear of the usual grocery store fare and focusing instead on some of the better-quality instants. First of all, let’s examine the art (and there absolutely is an art) of making a perfect cup of instant coffee. We bet you didn’t know that “modern” instant coffee was first patented in 1881 by Frenchman, Alphonse Allais. Following a world glut of coffee beans in 1930, Nestlé began tinkering around with the process of making dried, reconstituted coffee. And in 1938, the company launched its first instant coffee. The rest is history. Nescafé has pretty much cornered the instant coffee market, holding some 70% of sales. Unfortunately, true coffee fans are horrified at the prospect of a being forced to drink a cup of instant coffee. It is truly disgusting and the stuff of the Devil. Right? So, just what is instant coffee? Instant coffee begins life as regular coffee that’s brewed in an industrial caffeinating kit to draw out as much taste and flavor as possible. Controlling both the pressure applied to the coffee and the water temperature used is essential at this stage in the process. A centrifuge spins the coffee. The centrifugal force applied leaves the denser coffee extract behind and removes all the water. Heat evaporates the water from the coffee, leaving behind the coffee extract. The coffee is frozen and the water extracted. The resulting extract is then dried and turned into a powder or granular form. Drying is typically carried out through freeze or spray-drying. When the moisture has been removed from the coffee extract, the pure coffee is sprayed through hot air, (480o hot air!). The action takes place at the top of a massive tower, where the coffee “mist” is transformed into a fine powder that falls and collects at the bottom of the structure. And there you have your spray-dried instant coffee. The process of freeze-drying coffee sees the coffee extract chilled down to a temperature of around 20oF. The frozen coffee is then placed onto belts and allowed to cool down further until a temperature of about -40o is attained. The process transforms the coffee into ice, which is then shattered into smaller particles and dried to evaporate any remaining moisture. During the packaging process, the compounds and oils that give the coffee its aroma and taste are put back into the granules. When you compare your regular brewing process with the way instant coffee is created, it’s easy to see how the fragile aromatics of the coffee bean can be damaged. That’s why many instant brews taste flat, bitter, and uninspiring, especially when you go ahead and douse the granules with boiling water too! Remember that, aside from the speed and convenience of instant coffee, you can easily adjust the brew strength to suit your taste. That’s especially handy if you’re entertaining friends whose tastes vary. 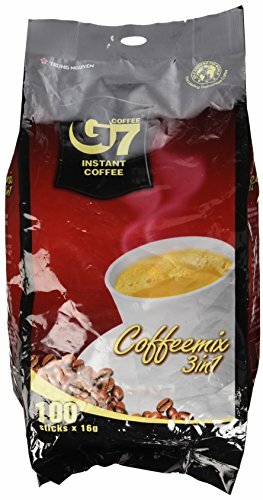 Also, if you’re into baking, you should know that most instant coffees can also be used to flavor cakes, frostings, etc. Cool. Now, before you turn your nose up at the prospect of a cup of instant, you should give the following ten instant coffee products a try. 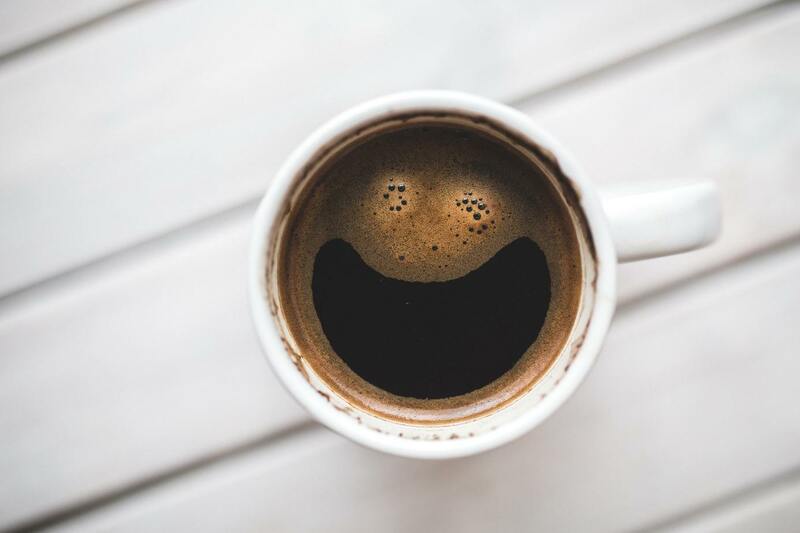 Here at Roasty, we believe that every bean deserves a chance, so we’ve found ten respectable-tasting instant coffees that every caffeine fan should try. Just click on the links to order, and prepare to be surprised and amazed (in a good way! 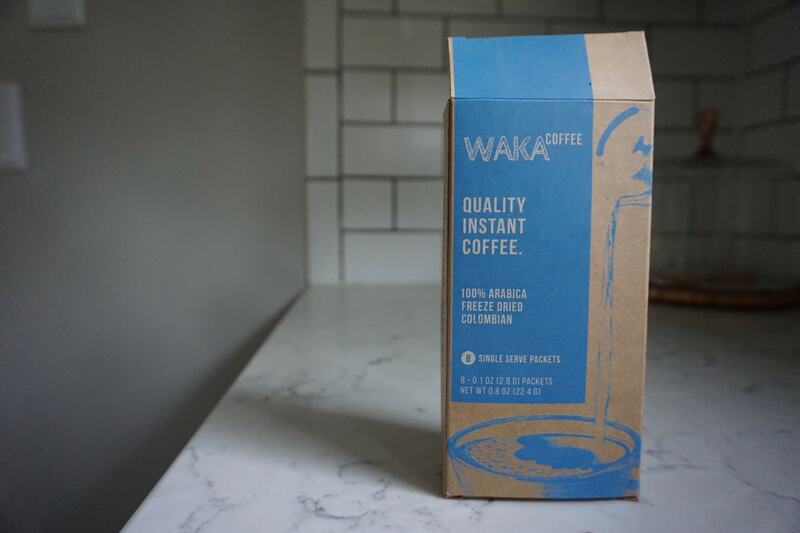 Full disclosure – the good folks at Waka coffee sent me a free sample box with the promise that it was going to be unlike any traditional brand I’ve ever tried. I was a little skeptical, but I have to admit – it was a darn good cup of coffee. It’s not going to stop me from French pressing in the morning, but it’s definitely a solid option to have in the cupboard when you’re in a hurry. Waka is also a business with a purpose – providing clean water to those who need it. Click here to try it for yourself. 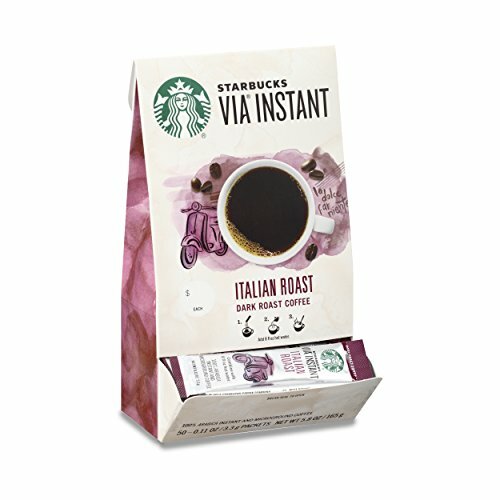 Starbucks VIA Italian roast is a high-quality instant coffee that’s made using Arabica beans. 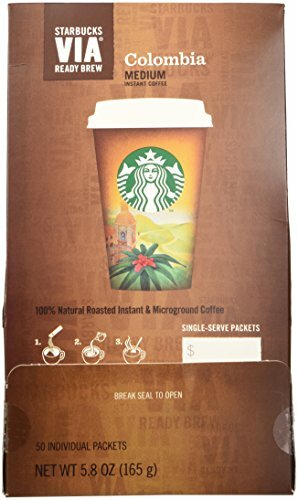 This coffee is a dark roast with a rich, deep flavor and sweet notes of caramelized sugar. VIA comes in a box of 50 individually wrapped servings that keep the coffee super-fresh. All you have to do is add hot water, wait for 10 seconds, stir, and enjoy. Starbucks again, but we just had to include their best-selling instant coffee variety in our list for you to try. 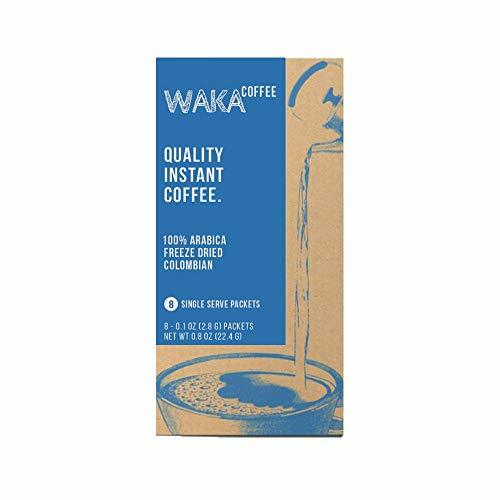 This blend is made from 100% Colombian Arabica coffee and has a signature walnut flavor. 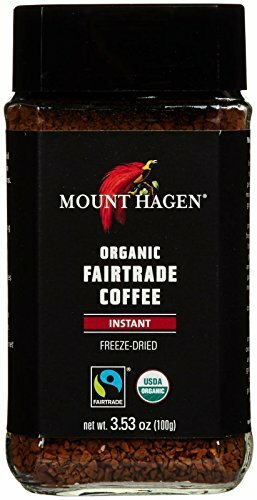 Mount Hagan is a very popular instant coffee brand and another of Amazon’s best-sellers. The coffee is made from organically grown beans sourced from Fairtrade plantations. It’s packed in a glass jar with a good seal to keep the granules fresh. 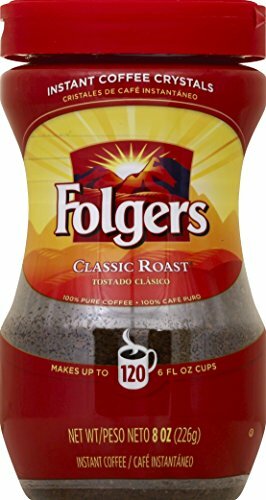 Folgers is one of the most popular instant coffee brands in the US. They’ve been around since 1850, so they’re clearly doing something right. Their classic roast instant coffee crystals are made from mountain-grown beans to give a rich, pure taste and a delicious aroma too. Now, having ventured across to the “dark side” of caffeinating, you might as well try something totally off-the-wall. Four Sigmatic Mushroom instant coffee is one of the top-selling instants we found. Who knew? The coffee is made using 100% organic Arabica coffee. And two functional mushrooms. Fear not, the brew doesn’t taste like mushrooms. 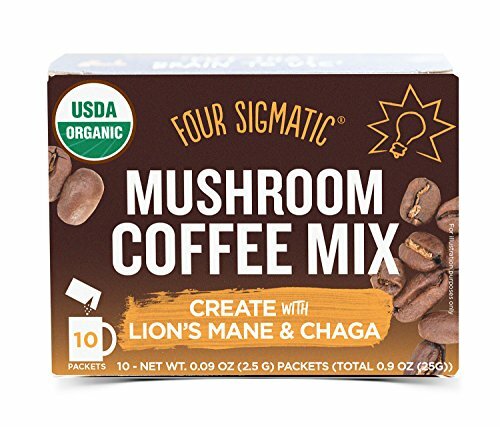 Organic Lion’s Mane mushroom and wild-crafted organic Chaga mushroom are added to the coffee. The former supports focus and productivity, and the latter gives a boost to your immune system. It’s different but certainly flavorsome and well worth a try. Kava’s instant offering stands out from the crowd because it is 90% acid-neutralized. That means this brew contains only half the acid that you’ll find in other regular coffees. So what? Well, the lower acidity in this coffee makes it ideal for coffee fans who have sensitive digestion. The coffee is made from premium beans to give a rich, full-bodied flavor and delicious aroma. Now, this is an instant coffee with class! 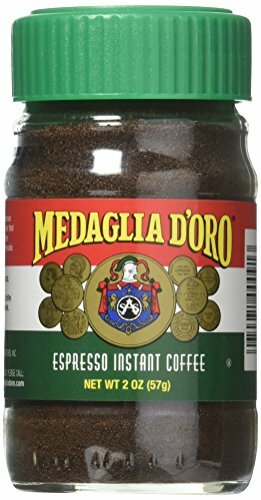 Medaglia D’Oro is an espresso made from blended, double-roasted coffee to produce a rich, bold flavor. You’ll even get a thick crema on top of your brew. The coffee is so well-balanced and smooth; it makes a great base for other beverages such as cappuccinos and lattes. The only real downside to this product is that it is a tad pricey as instant coffees go, but it’s definitely worth the extra pennies. This freeze-dried instant coffee is made from a blend of 100% ground coffee. It’s a good-quality German brand that’s presented in a glass jar with a good seal to keep the coffee fresh. This rich and flavorful coffee makes a tasty, quick cup of Joe to beat the afternoon slump. G7 is created via a secret “patented dry roasting process,” rather than the usual spray or freeze drying methods we’ve previously mentioned. The result does receive lots of excellent reviews and sells very well, so however they do it, the secret process undoubtedly works. We’ve included this instant coffee in our favorite ten products because we reckon it’s perfect to take with you if you’re traveling or for using at work. The flavorful coffee contains creamer and sugar; all you need to do is add hot water and enjoy. 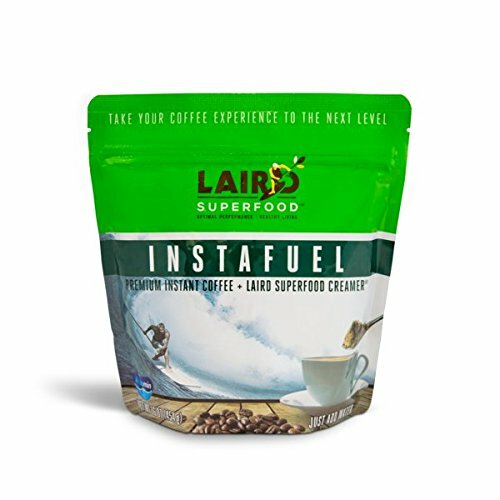 For those who like the idea of a complete instant coffee that can be enjoyed on the go, Laired Superfood Instafuel is a leading contender. This instant coffee contains creamer (but no sugar). The coffee used is premium Arabica for a full, vibrant flavor. The creamer is dairy and gluten-free, non-GMO, and it’s also suitable for vegans. This technique helps the coffee granules to brew more gently without destroying the flavor by scalding them with too much heat. Instant coffee is versatile, quick to brew, easy to customize, and surprisingly flavorsome. So, now you know all about instant coffee, why not take a journey to the dark side and try one of our favorite featured brands for yourself?